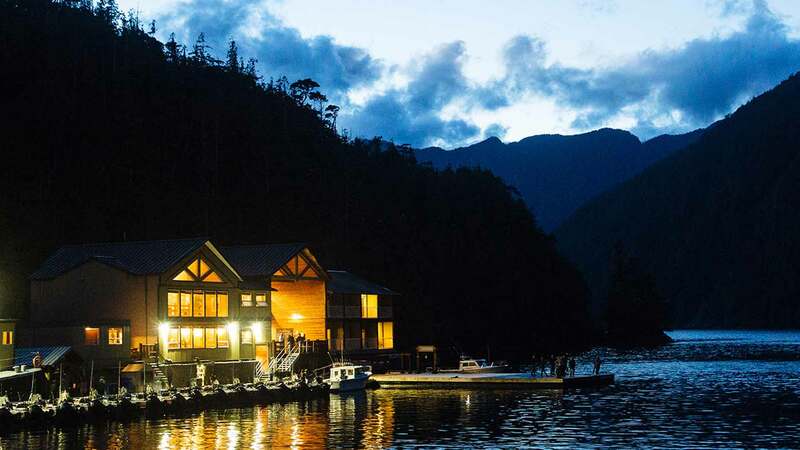 The Floating Lodge at Englefield Bay is located on British Columbia's remote coast in Haida Gwaii, (formerly the Queen Charlotte Islands) only 80 miles south of Alaska. 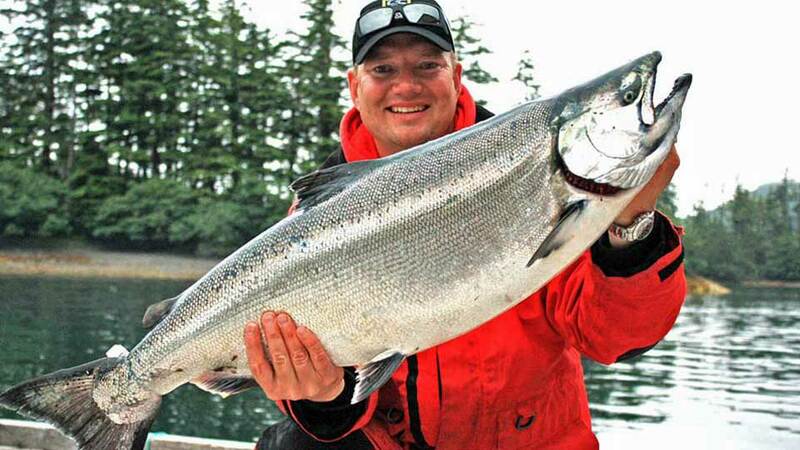 Here, you'll target trophy-sized king salmon, silvers, halibut, ling cod and more. The Floating Lodge at Englefield Bay is an ultra-exclusive floating lodge located on the west side of Haida Gwaii. 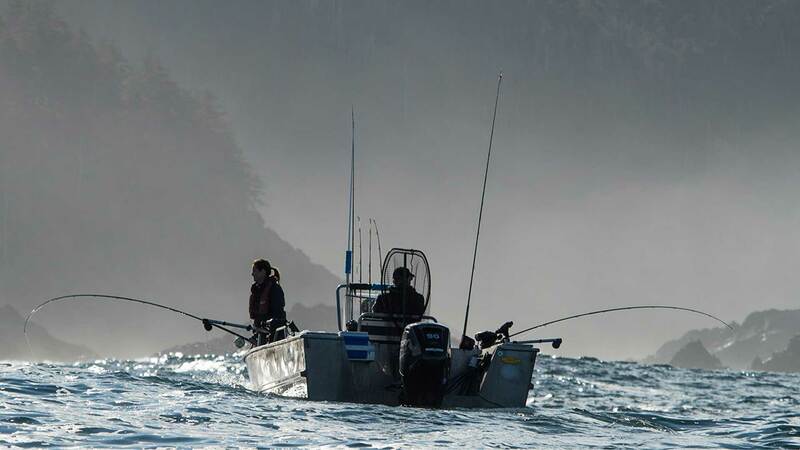 All of British Columbia’s salmon species migrate past these exclusive fishing grounds. 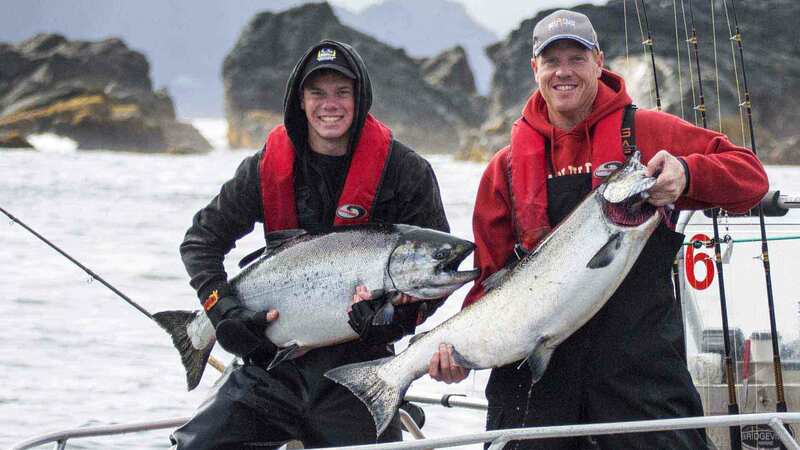 The Floating Lodge at Englefield Bay is known for its dense population of trophy-sized kings, and boasts an extremely short run to the area's most popular salmon and halibut fishing grounds. Ling cod and yellow eyes (red snapper) are also available here. Legendary spots, such as Denham Bay and Cape Henry, allow anglers to fish underwater structure or tight against the kelp. 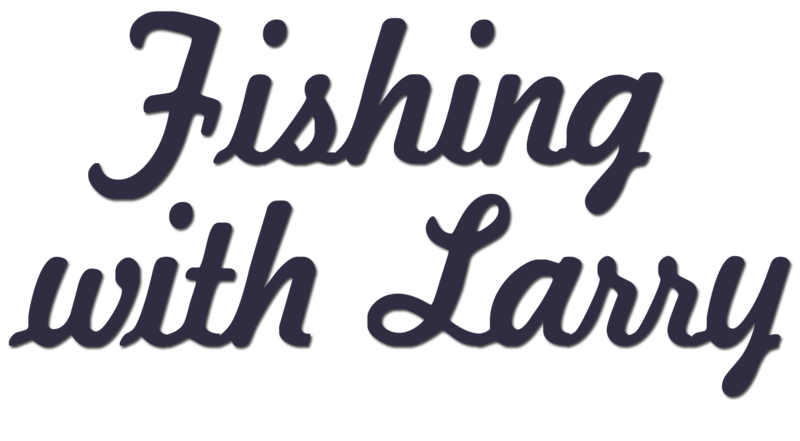 The luxury of an inside-and-outside fishery, with some very productive fishing grounds only minutes away. This beautiful rugged region targets multiple species and offers spectacular wildlife viewing. Season: The floating lodge is open May through September. Westcoast Boats: Custom-designed 18-foot Bridgeview aluminum center-consoles with four-stroke Mercury outboards. Plus VHF radios, GPS, depth-finders, electric downriggers... At both lodges, you may upgrade to a premium 24’ cabin cruiser with fiberglass hull and 300 h.p. motor, including a full-time guide for up to 10 hours per day. The rear deck accommodates up to four anglers. The comfortable cabin is fully enclosed and heated with air-ride suspension seats and an onboard washroom. Their skilled dock crew will take care of filleting, vacuum packing and flash freezing your fish on-site so it’s as fresh as possible when boxed for your trip home. 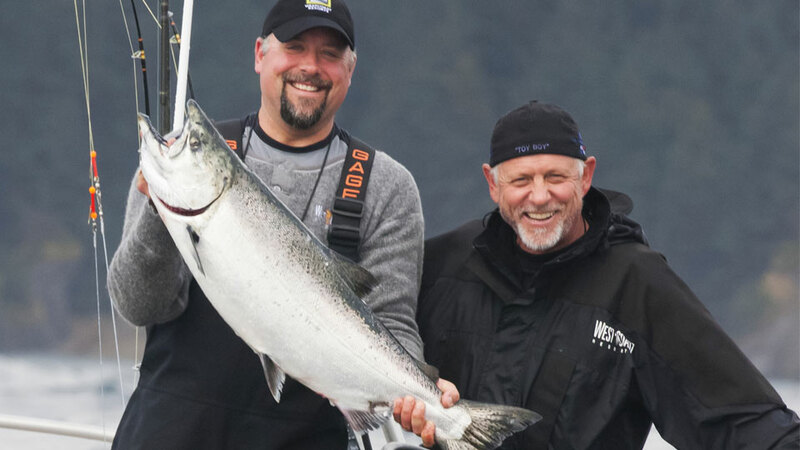 Equipment: Packages include all saltwater gear for salmon and halibut, rods, reels, tackle and bait, raingear, boots, and flotation collars. If you run out of bait or beer, simply call them on the VHF radio. Fishing Licenses: are not included in the package. 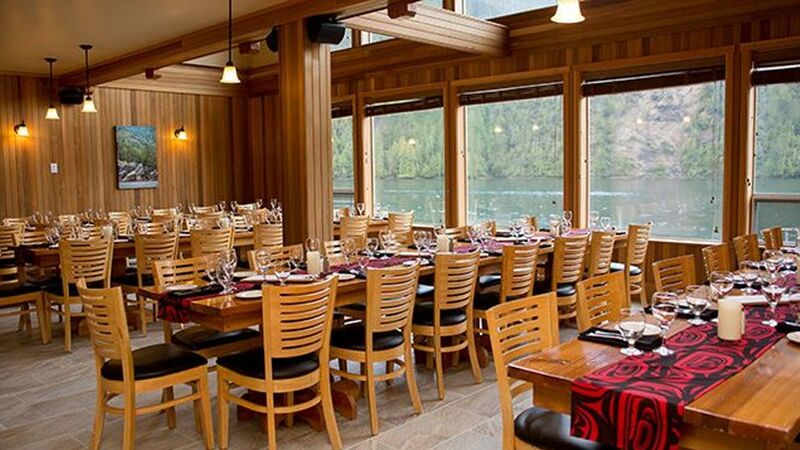 Englefield Bay Floating Lodge accommodates up to 46 guests. 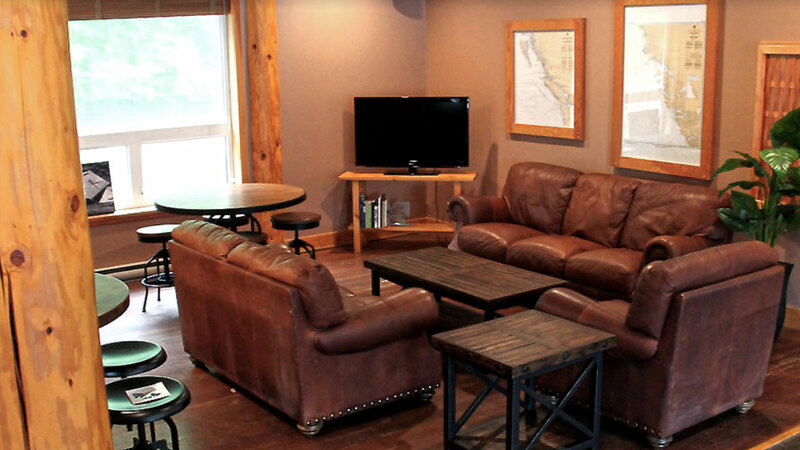 The Lodge has a full-service bar and loft lounge, hot tub, massage therapy, gift shop, workout facilities and more. Meals: Their chefs prepare gourmet meals, with an optional hot lunch served on the water. 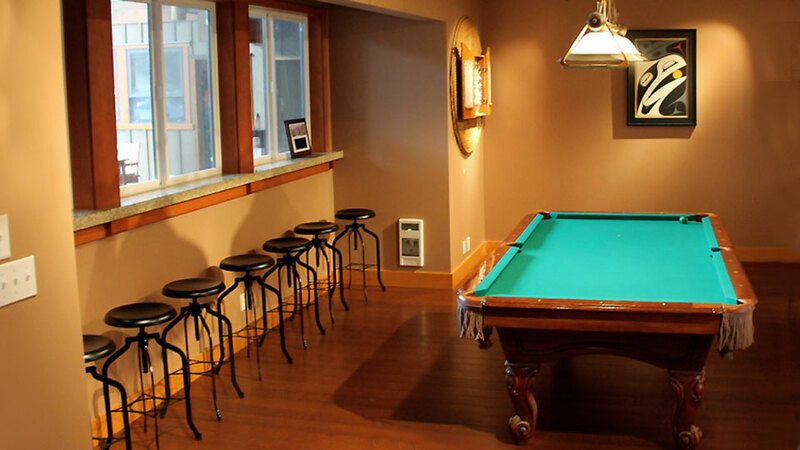 Dinner entrees feature local wild salmon and halibut as well as prime grade beef and lamb. Complimentary red or white wine is included at dinner. 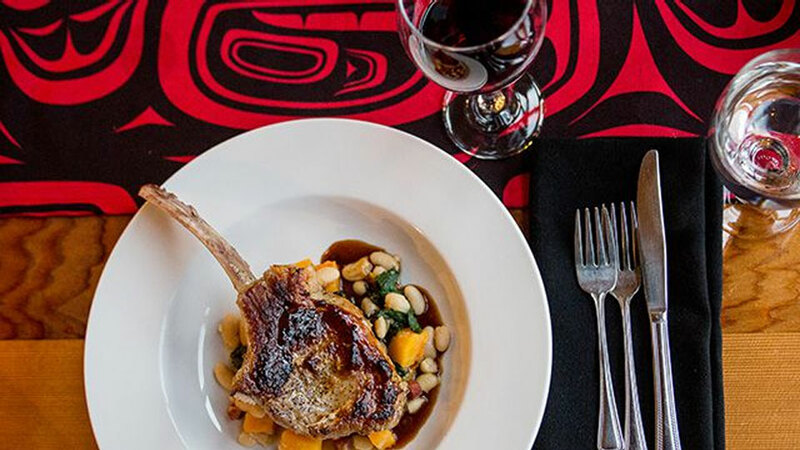 Their international wine list also features outstanding British Columbia wines. Tastefully appointed bedrooms with ensuite bathroom, plus daily housekeeping. From Vancouver, B.C., you'll take a 75-minute private chartered flight on a Boeing 737 jet to Sandspit. From Sandspit, you'll take a a 15-to 25-minute flight across Haida Gwaii in a Sikorsky 76 helicopter, and land on a private float at the resort’s doorstep. There is a baggage weight limit of 25-pounds for the helicopter flight. The roundtrip helicopter flight from Vancouver B.C. 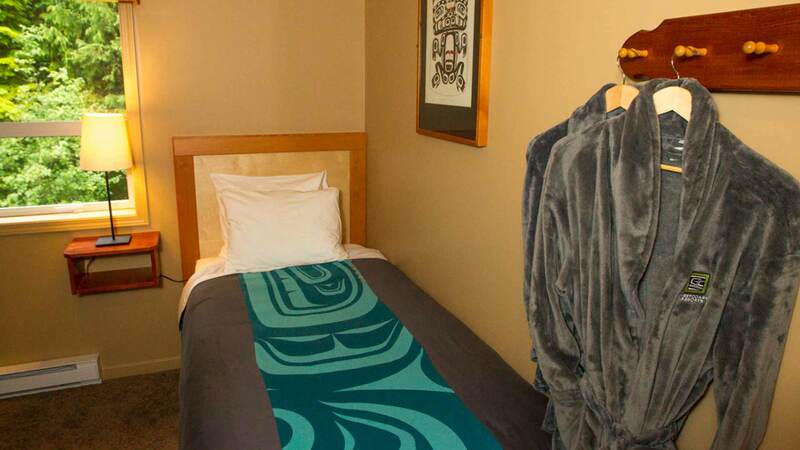 to Haida Gwaii is included in all packages. Double occupany. Rates are Canadian dollar and subject to change. 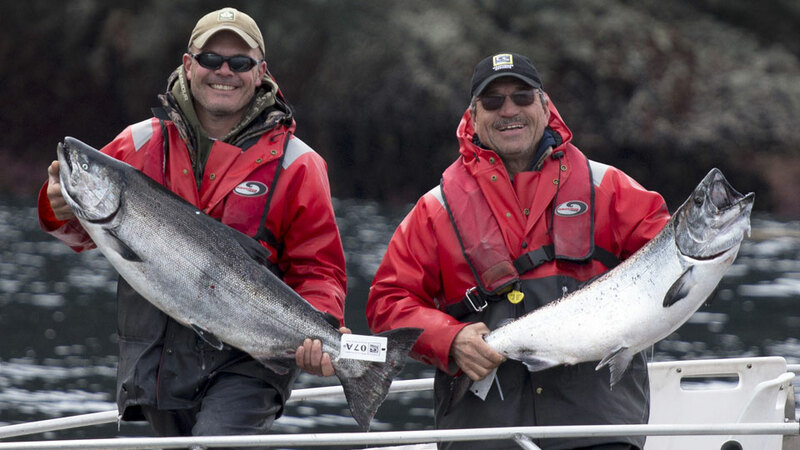 Choose between 5 hours per day with an expert instructor (included), or upgrade to 10 hours per day with their own personal fishing guide (fully guided) for an additional cost. 24' Boat Upgrade: $5,695.00 p.p. 24' Boat Upgrade: $6,495.00 p.p. Roundtrip helicopter flight from Vancouver, B.C., to the Lodge, guided fishing; use of WCR’s custom-designed boats, VHF radios, GPS, depth-finders, electric downriggers, reels and fishing rods, tackle and bait, foul weather gear, boots and flotation collars; professional fish care—cleaned, filleted, packed and boxed; gourmet meals, snacks, lunch at the Lodge or on the water; and complimentary red or white wine with dinner. Airfare to British Columbia, fishing licenses/tags, gratuities, applicable taxes, airport transfer fees, fuel surcharge, alcoholic beverages (other than wine with dinner), and anything not mentioned under inclusions. Packages may vary by location and are subject to change without notice. Due to restricted cargo space, your personal luggage weight is restricted to a maximum combined weight of 25-pounds (checked and carry-on combined). Soft duffel bags are preferable.